My Life Undecided was so much fun! It was exactly what I needed: a light-hearted, quick read with a good message. I'm really enjoying contemporary YA lately! Brooklyn is a fifteen-year old high school student who has been making some bad decisions lately. Things in her life come to a head when she gets arrested for accidentally burning down a model home---and to make matters worse, her mother is the model home developer. Brooklyn starts court-ordered community service at a local nursing home. Her best friend, who is the most popular girl in school, shuns her in front of the entire school. Brooklyn is left friendless and grounded. She decides to stop making her own decisions and starts a blog to let her readers tell her what to do. Every time she is forced to make a decision (such as join the debate team, go to a party with a cute guy, or which book to read for English) she writes a post about it and takes a poll of her readers. Things quickly escalate when the blog followers vote for Brooklyn to do things she doesn't want to do. I liked so much about this book: reading about someone who writes a blog, Brooklyn's character growth, Jessica Brody's excellent characterization, and the dynamics of the 'mean girl' clique. But my favorite part of the book was the question of who Brooklyn will end up with. That was the crux of the book for me, and that was what kept me reading long past the time I said I'd stop reading and go to bed. The ending scene was my favorite---it reminded me of a movie, but in a sweet way, not a cliched way. 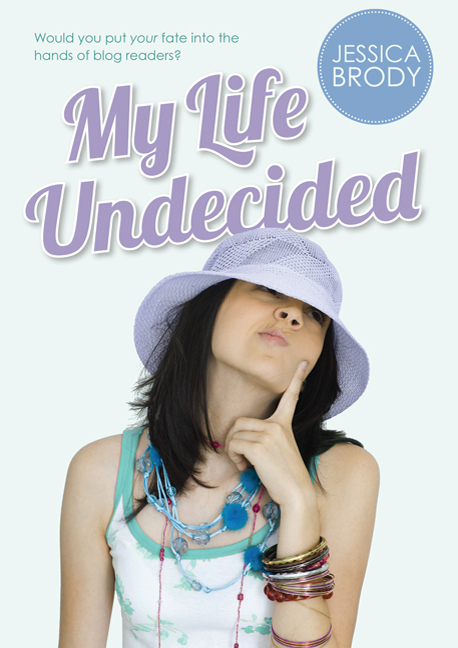 I would recommend My Life Undecided for fans of contemporary fiction and chick lit, especially YA chick lit. It was a great read and I'm looking forward to reading more from Jessica Brody! I was reading the teaser in the beginning and it took me a minute to realize that this was a book review :D Looks like it could even be a funny book! nice review! I can clearly see why you enjoyed this book. It looks rather unique and judging by the summary alone had convinced me that this is a very fun read! This book sounds really awesome. I think it would be a hilarious fun read. I'll be adding it to my TBR stack. Sounds like a fun book, especially for a blogger! Poor Brooklyn, having others make decisions for her and having to do things she doesn't want to do...curious how it all turns out.